Judge at the Canadian Open Fiddle Championships! I am thrilled to announce that I will be a judge at the 68th Annual Canadian Open Fiddle Championships this August in Shelburne! I am incredibly honoured. 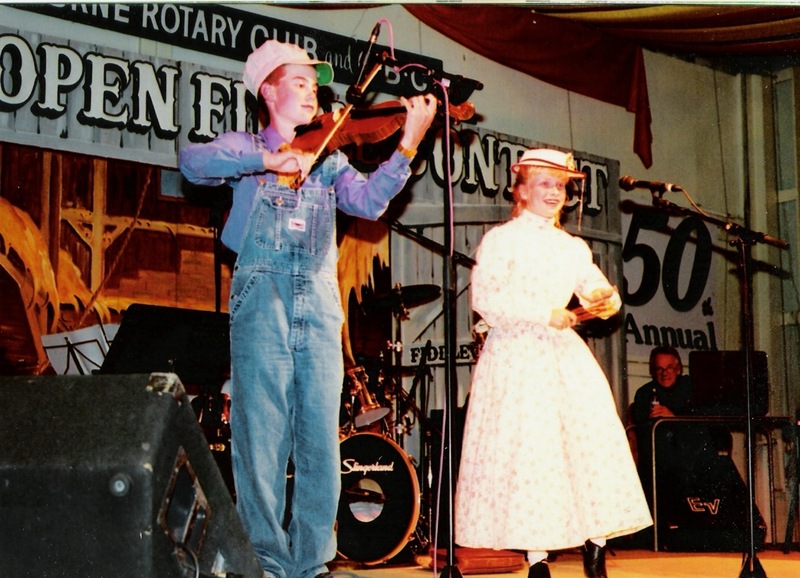 I was seven years old when I first competed at the Canadian Open Fiddle Championships; commencing a 14-year run of competing at contests across the country. My brother, Tyler, and I won the Open Duet Class and Novelty Class multiple times, as well as held several individual accolades on our own. Our grandfather, Stan, first competed at The Canadian Open in 1952, and continued gracing the Shelburne stage well into his 70’s. ps- this is a photo of Tyler and I competing in the Novelty Class in 2000! In 2017, Linsey was the recipient of the BARN DANCE HERITAGE AWARD, presented by the CKNX Barn Dance Historical Society & Entertainment Museum for her efforts in keeping authentic Country Music alive.